Stratus Vineyards, a Canadian-based winery owned by David Feldberg, and prolific, NYC-based designer Karim Rashid, are proud to unveil a revolutionary collaboration — the Decant wine bottle. The Decant bottle is the result of strategic collaboration between Stratus Vineyards and Karim Rashid. With the goal of creating an innovative and artistic design representative of the vineyard, the duo developed a sculptural concept meant to surprise consumers with an unexpected bottle form. The aim was to embody the Stratus philosophy of ‘form followed by function’ by capturing the elements of vineyard diversity and winery design into a single contemporary bottle. The bottle’s structure reflects the complexity derived from the 44 vineyard blocks within the company’s 55-acre estate. Decant boasts a deconstructed, stratified design that mirrors the geological complexity of the soils from which the wine is grown. Layers upon layers of clay and clay loam are interspersed with fractures of granite and limestone — a result of thousands of years of glacial erosion, along with the recession of Lake Ontario. The subsequent geology of the soil imbues the wine with its unique profile and also serves as inspiration for the bottle’s signature shape. The result is a 2014 unfiltered Cabernet Franc on its lees, which marks Stratus’ debut unfiltered wine. The layered glass of the bottle creates a slip-resistant handle and serves as a decanter for the naturally forming sediment while visually stimulating the senses. 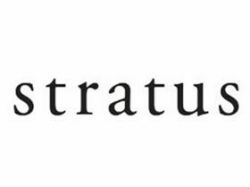 Since its inception, Stratus Vineyards has worked with a selection of industry leaders to collaborate on projects that meet the company’s mission of producing benchmark wines. From the design of the winery in Niagara-on-the-Lake – the first in the world to be fully LEED ™ certified – to partnerships with global viticulture specialists, the Stratus team is consistently setting itself apart. Stratus intentionally taps the minds of creative visionaries to encourage the development of innovative, out-of-the-box ideas. Naturally, the winery’s next priority was to create a revolutionary bottle design. “We chose to partner with Karim because he brings forth a multi-faceted design perspective that breaks down traditional style barriers. His concept for the wine bottle brings something unique and unexpected to the world of wine,” says David Feldberg, President, and CEO of Stratus Vineyards. “The result of our collaboration has been incredible. Not only are we offering a functional wine bottle that houses a stellar wine, but we are presenting a collectible and timeless work of art,” adds Feldberg. For orders in Canada please visit the winery in Niagara-on-the-Lake or purchase at www.stratuswines.com for $95 Canadian plus shipping. Located in the historic town of Niagara-on-the-Lake, Stratus Vineyards is a gravity flow winery, distinguished by its LEED-certified facility, its commitment to sustainability and wines of outstanding quality. The winery, like its signature assemblage wines, is a composition – a whole greater than the sum of its parts. On their own, the individual elements are distinctly unique – a diversely planted vineyard with complex soils; a sustainable facility that unites tradition and science to serve the winemaker’s art; and a retail gallery with adjoining tasting rooms that are both chic and welcoming. Working together, they create wines and experiences that are truly memorable.